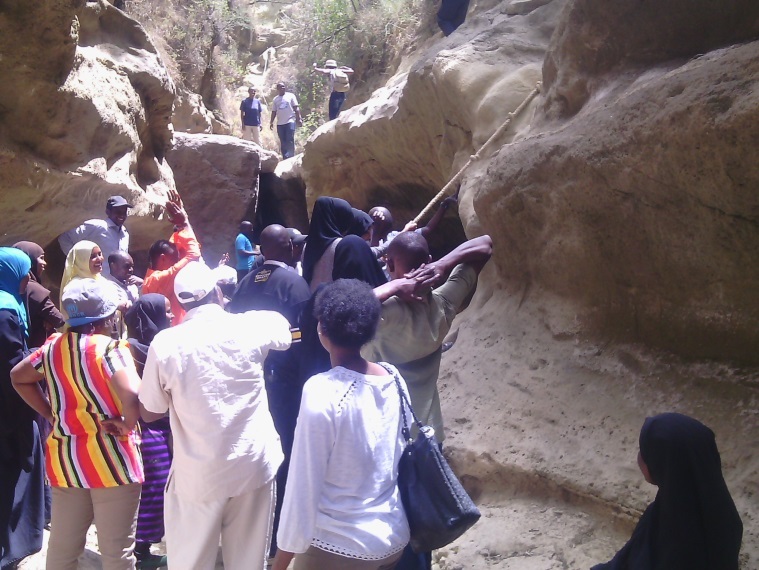 “I didn’t want to close my eyes at all because I was experiencing everything for the first time in my life,” exclaims Isaak, remarking on the weekend retreat CVT staff took to Hell’s Gate National Park in Kenya. Isaak is a cook in the Dadaab refugee camp and his excitement says it all. For some of the group, it was their very first time away from the Dadaab refugee camp. Naivasha is the furthest place in Kenya they have ever been since coming to live in Dadaab camp from their home countries. The world’s largest camp, Dadaab currently houses multiple generations. It is quite possible that someone living as a resident in the camp could spend their whole life there and never set foot outside of it. This can be somewhat difficult for westerners to imagine, but for a few members of the Dadaab CVT team, the only city they know is the complex of four or five sub-camps that comprise Dadaab. 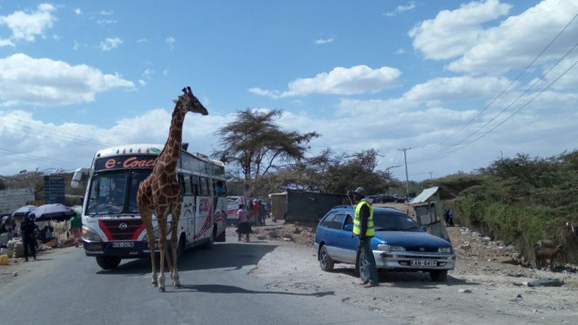 So to travel to the market town of Naivasha (near Hell’s Gate), the trip can be momentous. It is no small task to secure the necessary permissions for refugees to leave the camp. Staying in a hotel was a rare opportunity for many as well. CVT entered Dadaab in 2010. The care that is provided in the camp is community based. CVT’s psychosocial counselors (PSCs) - a majority of whom are refugees - run the group counseling sessions and oversee the screening and intake processes. This community-based approach ensures those who need help find CVT. Dadaab was created in 1992 for thousands of Somalis fleeing violence and warfare. Initially built to provide refuge for 90,000 people, 256,192 inhabit Dadaab today. While the majority of the camp’s population hails from Somalia, people from South Sudan, Eritrea, Ethiopia and other countries also call the camp home. Very recently, the Kenyan government has taken steps to close the camp. The impending closure looms over its denizens. Coupled with the ongoing impacts of Voluntary Repatriation (VolRep) of Somali refugees and relocation of primarily minority communities, the stress of living and working in the camp can seem insurmountable. This retreat was a momentous occasion for another reason as well. It was the first time the Dadaab CVT team and the CVT team from Nairobi had ever spent time together. My favorite part of the retreat was meeting members of the other group and participating in team building activities with them. Trauma work is challenging emotionally. The staff - especially PSCs - need activities that can help them unwind and interact with their colleagues in a relaxed way. This re-energizes them and breaks the work routine. Team building activities involved groups competing to carry a glass of water suspended on a cardboard box attached to multiple ropes with each rope held by one person. The teams raced from one end of the field to the other without dropping the glass. The focus and team effort this took! Choosing culturally-appropriate activities was important, especially for our Muslim female PSC’s who are not accustomed to playing among males. Another activity involved one team member in each team being blindfolded and trying to find pieces of candy hidden in corn flour using their mouth with guidance from another team member. We also hiked helping each other through the ridges and rocks in Hell’s Gate National Park. After the activities, the groups relaxed at the resort. The next day the Dadaab team was treated to a boat ride around Lake Naivasha. We returned to the camp revitalized by our short reprieve. Being able to step away and enjoy the company of coworkers gave me a new perspective. Helping the survivors of torture heal can be a daunting task and some days end with the despair of knowing that the practice of ill-treatment by those in power will continue to create suffering. In the face of this, it is good to know that there are still beautiful places like Hell’s Gate and the Sweet Lake Resort and Lake Naivasha. This beauty is important to keep striving towards. Working together as a team, we were able to accomplish the activities. In the same way, we will continue to work together in Dadaab and Nairobi and wherever else CVT is needed to heal the wounds of torture on individuals, their families and their communities. CVT’s work in Dadaab is funded by a grant from the United States Department of State’s Bureau of Population, Refugees and Migration, the United Nations Voluntary Fund for Victims of Torture, and United Methodist Women. CVT’s work in Nairobi is funded by a grant from the United States Department of State’s Bureau of Population, Refugees and Migration; the United Nations Voluntary Fund for Victims of Torture; United Methodist Women; and the S.L. Gimbel Advised Fund at The Community Foundation – Inland Southern California.